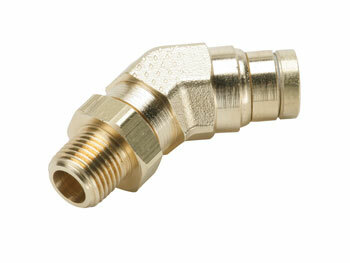 Parker's Prestomatic Series Male Elbow Swivel 45° is a robust, all brass push-to-connect fitting that meets SAE and D.O.T. specifications. Designed for all D.O.T truck and trailer applications, Parker Prestomatic fittings reduce assembly time versus compression style fittings by 90%.